Perhaps the most common question pet owners ask their veterinarian is: "What should I feed my pet?" 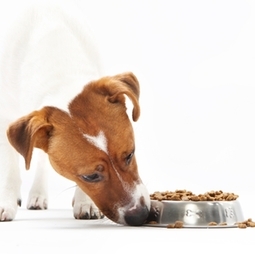 Feeding your dog or cat an appropriate amount of a well-balanced diet is vital to its overall health and well-being. Choosing a high-quality food from the hundreds of available brands and formulas can be challenging. The pet nutrition industry is very competitive, and most commercially available foods are very good balanced diets. As your veterinary health-care providers, we can help you select a diet that is backed by scientific principles and research and that meets your pet's individual needs. If you have any questions about a particular food, your best source for help is to contact us, and we are happy to provide nutrition consultation.